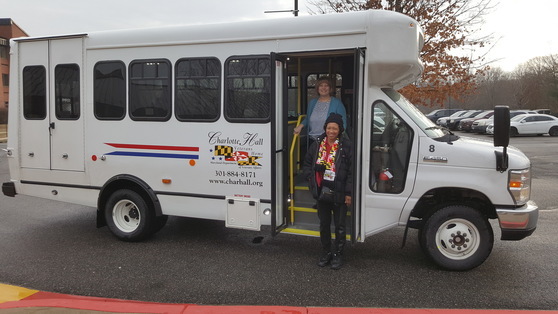 Charlotte Hall Veterans Home now has two new buses that will be used to transport residents. 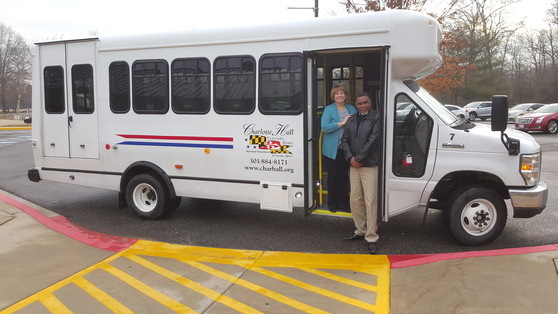 The buses are used to provide transportation for resident's medical appointments off campus, to attend activities and to take the residents out to dinner. The buses also allow the Charlotte Hall residents to participate in the annual Veterans Day Parade. Shown below are the two drivers with the buses: Ms. Daisy Clagett and Mr. Anthony Riley. Pictured in both photos is Sharon Murphy, MDVA Director of Charlotte Hall Veterans Home. With warmer weather on the way, the residents who are able to participate in trips are looking forward to traveling. 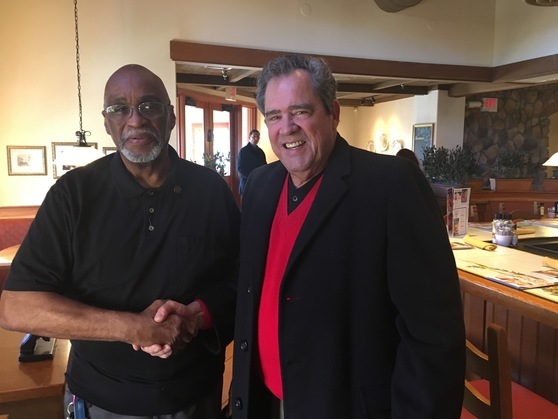 Secretary George Owings met Command Sergeant Major Hollowell S. Jones, US Army, Retired, having lunch with his two daughters, Cathy Williams and Tracey Everette-Duncan recently. Secretary Owings presented CSM Jones with the Vietnam War 50th Commemoration pin and certificate. Military service runs in this family, as Ms. Everette-Duncan served in the Air Force Reserves. Even when attending church, Secretary Owings is on the lookout for Vietnam Veterans who have not received the Vietnam War 50th Commemoration pin and certificate. 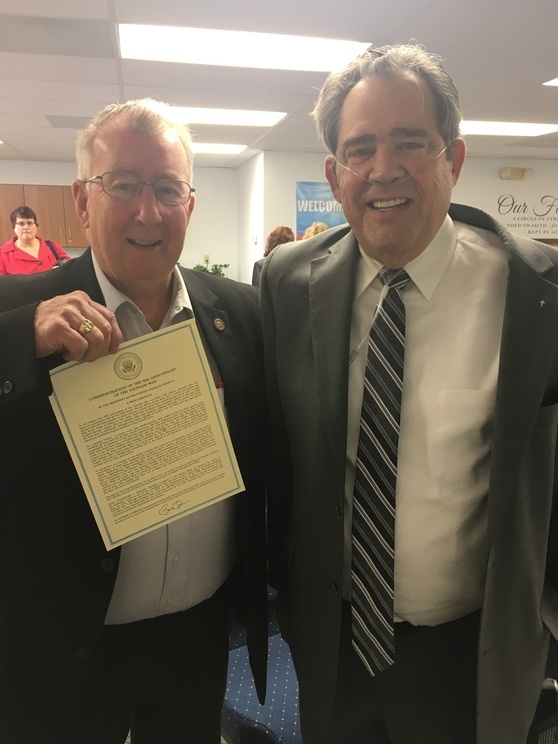 In the photo above, Secretary Owings presents Mr. James E. Smith, who served in the Navy from 1966 to 1970 with the Commemorative pin and certificate. Following through on Governor Larry Hogan's promise to improve access to government services for all Marylanders, the Maryland Department of Information Technology (DoIT) unveiled a new statewide licensing portal. Known as Maryland OneStop and available at onestop.md.gov, the portal provides a single point of entry for citizens to access all offices of state government that issue licenses or permits, from hunting licenses and fishing permits to drivers’ licenses and commercial permits. 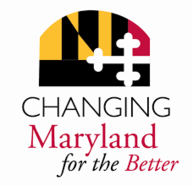 You may check the status of proposed legislation by visiting the Maryland General Assembly website.